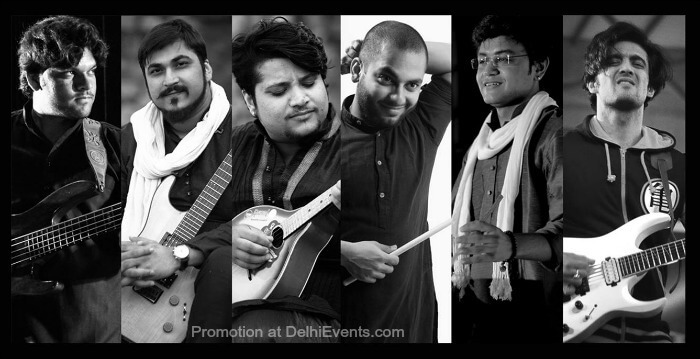 With a ​blend of Sufi ​and Rock music​, ​the band ​"JUGNI" ​(meaning​ ​the spirit or ​essence of life) was formed in 2014 when old friends. Rohit ​ Bhatt​ (Lead Vocalist) and Sagar ​ Chawla​ (Lead Guitarist) reconnected ​with their ultimate goal ​ to​ make music a vital part of their lives​. Since then with the addition of other members Pramod Kumar (Bassist)​, Rohit Chawla (Percussionist), Kushagra Nautiyal (Guitarist) and Tarit Bose (Drummer), the band has grown manifolds and delivered ​over ​6​00 performances across​ various ​platforms all over the nation.